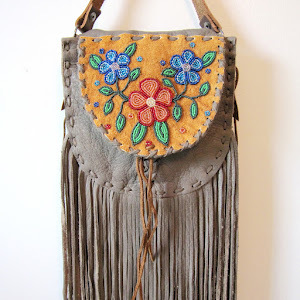 We are so excited to add another amazing and talented female artist to the Beyond Buckskin Boutique! Maria Running Fisher Jones is a proud member of the Blackfeet tribe from Montana, and she is the owner of TPmocs, a company that employs Native American artisans to handcraft modernly designed children’s moccasins. 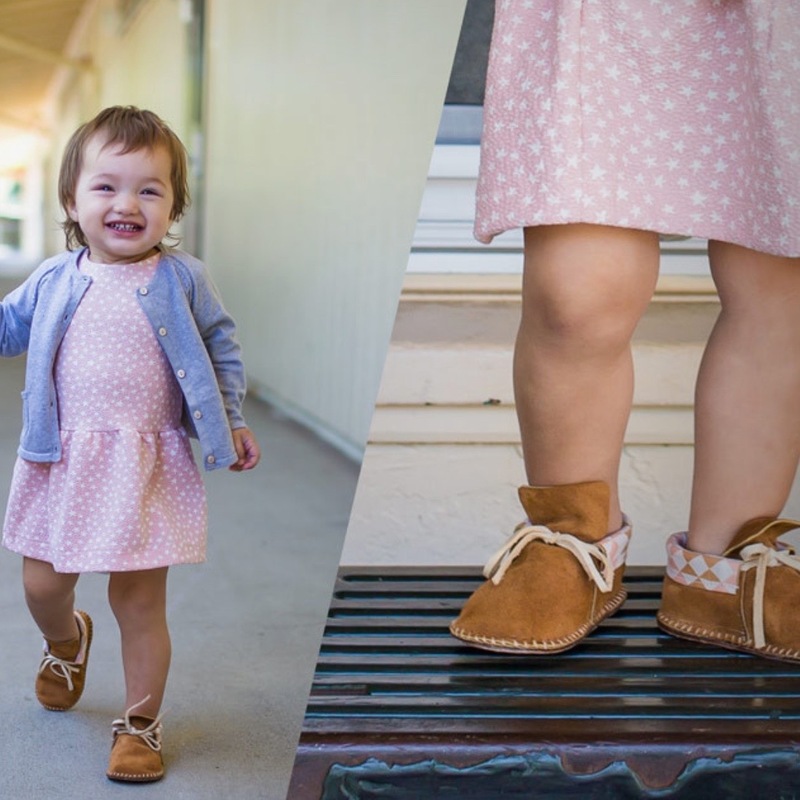 Her moccasins are not only adorable, but I also love the fact that she is cultivating a whole new generation of hip kids that rep modern Native-made fashion. And that is awesome. Let's start them young! BB: Maria! Thank you so much for taking the time to chat with us, can you tell our readers a bit about the beginnings of TPmocs? MRFJ: I have always maintained a love for moccasins and have been fortunate enough to study and appreciate the designs and unique patterns of individual tribes over the course of my life. Most recently, we’ve worked to develop our own moccasin pattern outside of the commercialized version many consumers are exposed to today. 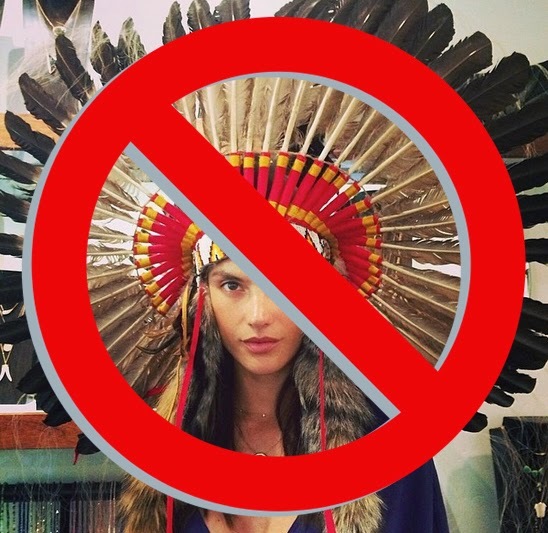 In doing so, I hope that TPmocs is able to expose our unique Indigenous cultures to the world at large, all while creating employment opportunities and providing much-needed resources to our communities in need. BB: Creating opportunities in our communities is so important. What else inspires your work? MRFJ: Quite simply, my mother, my family and my tribe, which are essentially one and the same. I truly believe it takes a village to raise our next generation, but how can we do that if we are unable to be self-sufficient? I founded TPmocs on the principle that everyone deserves an opportunity to succeed. Also, with each purchase, our team is able to take meaningful action to address poverty in Native American communities. BB: Launching a new business is very intimidating, and requires a lot of work and dedication! What has been your most challenging project to date? MRFJ: Creating TPmocs has arguably been the most challenging, yet rewarding, business venture I have experienced. When you combine business with passion it can be a very intense experience and it is not easy to balance authenticity with commercial challenges. Nonetheless, it has been an endeavor that our entire team has eagerly tackled in an effort to advance our social impact goals. BB: I love creative businesses with a social mission. 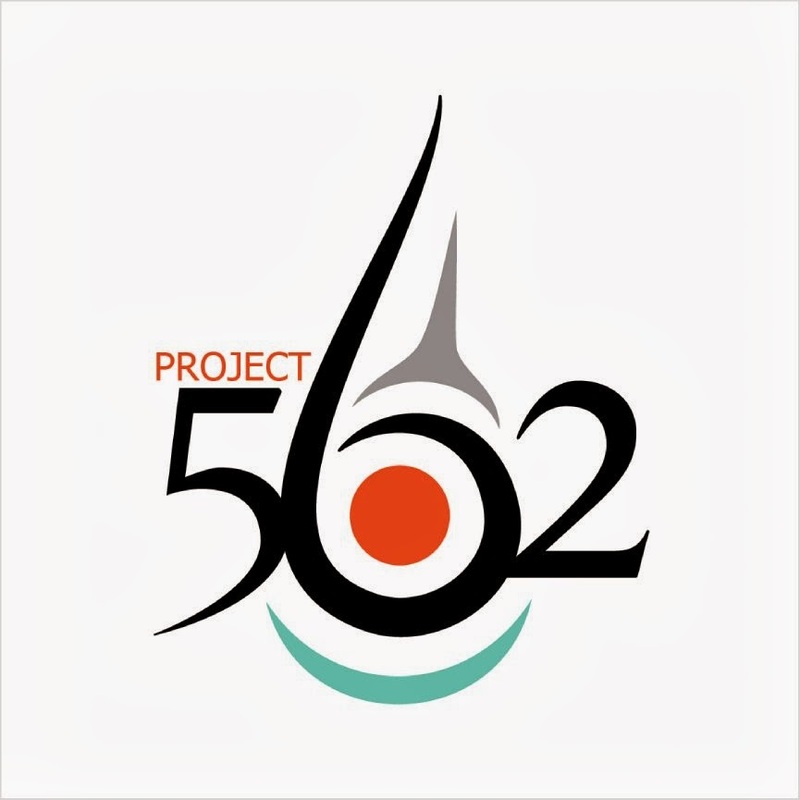 Can you tell us more about your social impact goals? 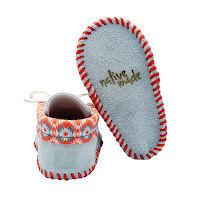 MRFJ: TPmocs’ goals are easily condensed into three points: (1) employ Native Americans to handcraft each pair of moccasins, (2) use a portion of the profits to purchase necessities for underprivileged children living on reservations, and (3) keep our traditions alive. BB: Last, what is something that a lot of people don’t know, but should know, about your tribe? MRFJ: The Blackfeet are confident, proud and resilient people and have a long and rich history on the Northern Plains. Archaeologists have traced us through our artifacts for at least a thousand years and according to tribal elders, our people have always lived on the Plains, since the time when “muskrat brought up the mud from under the waters.” We as the Blackfeet have a keen sense of our history and a respect for our traditions. We are not extinct nor invisible and continue to make valuable contributions to society every single day. 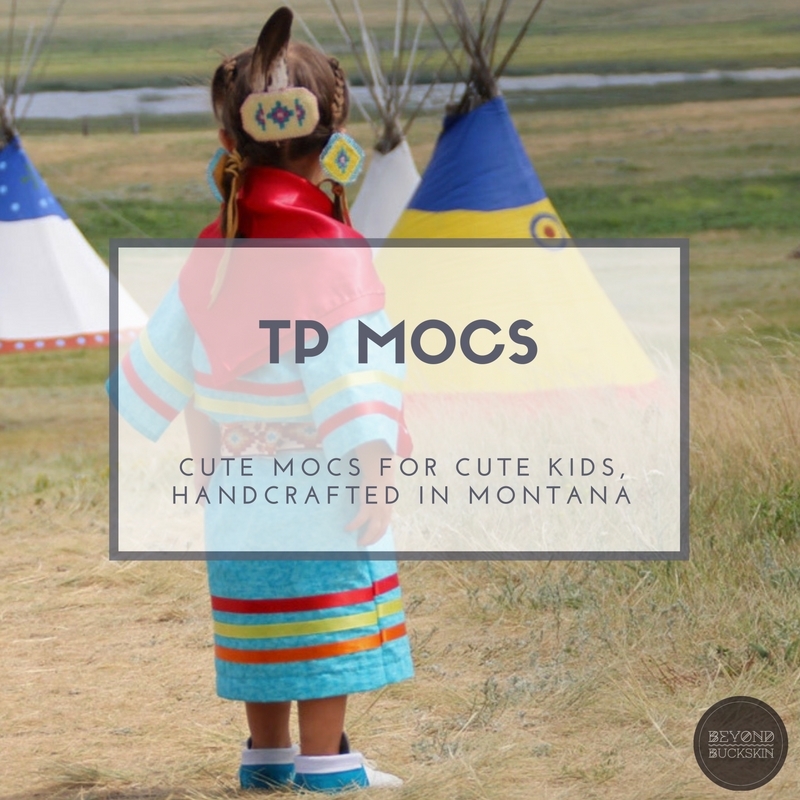 View the TPmocs collection on Beyond Buckskin, or visit the official TPmocs site, their Facebook page, and Instagram account. Launching a new business is very intimidating, and requires a lot of work and dedication! What has been your most challenging project to date? Do u known shell shockers 2.0?